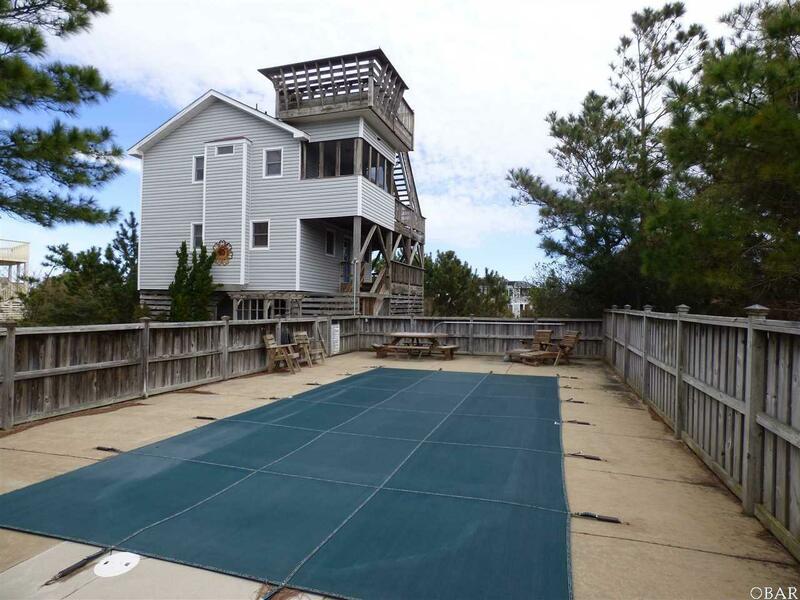 Cozy/comfortable well maintained primary home, situated on one of the highest dune elevations in Corolla. Ocean, sound and lighthouse views. Unique homesite that affords you the magnificent vistas of sunrise and sunset from the elevated sundeck. 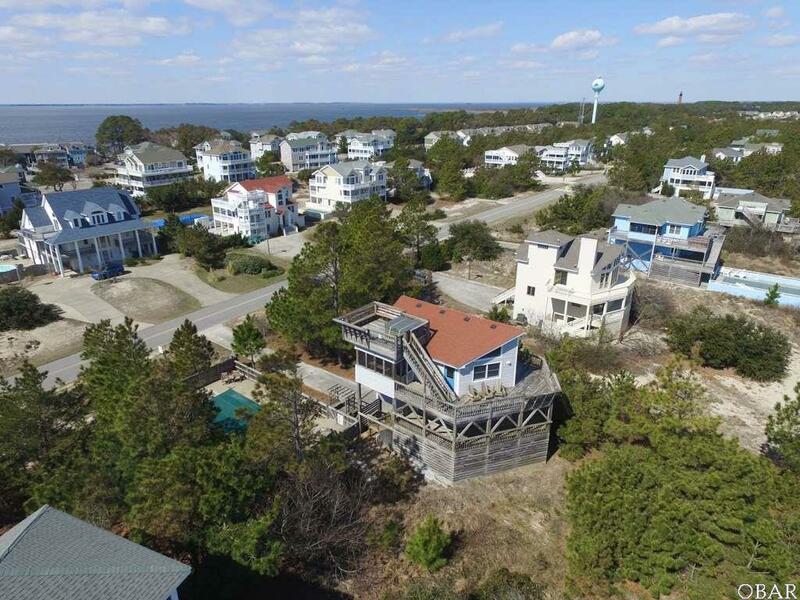 Situated on a large half acre homesite (20,000 Sq. Ft) that provides ample space between neighbors. Prowl front design with cedar ceiling and wainscoting in top floor living area. Updated sinks/vanities and marble flooring in both bathrooms. 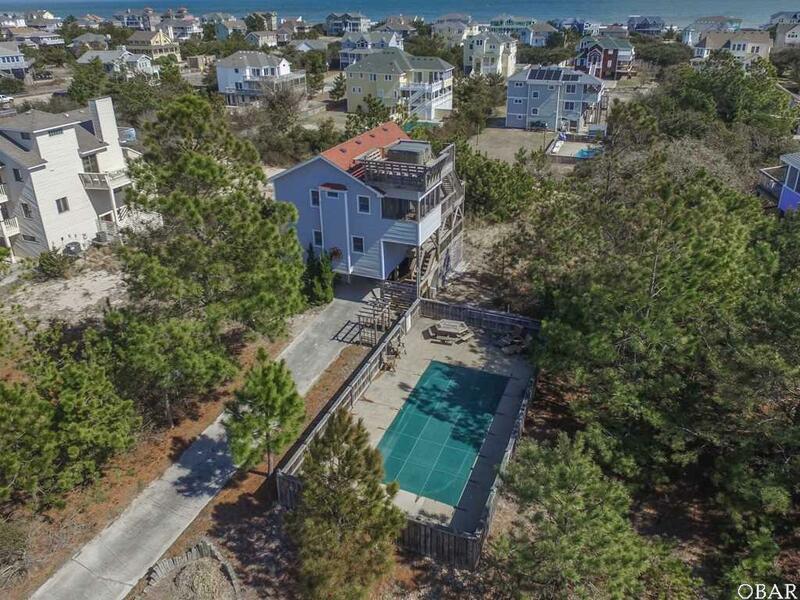 Screened porch, hot tub and private heated pool, increase rental potential. 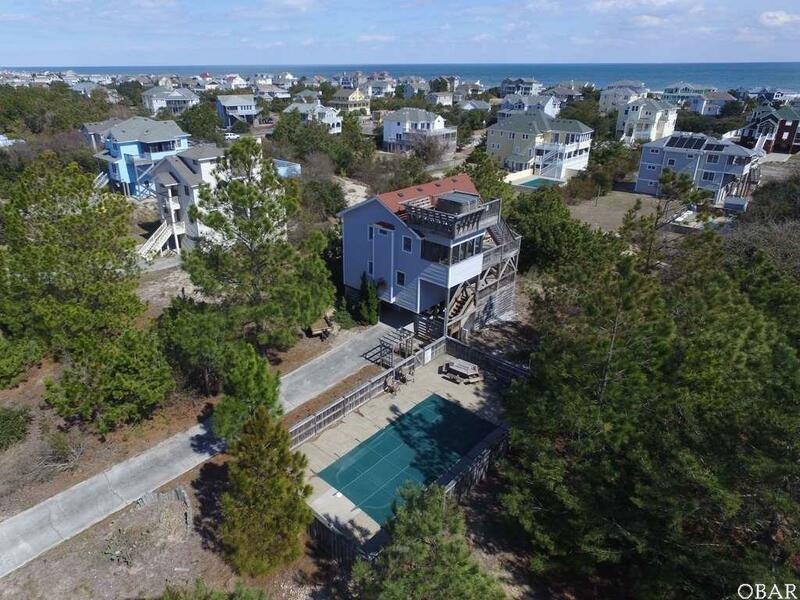 Listing courtesy of Ron Barrett of Brindley Beach Vacations-Main.